1-3 Business Days Fast Delivery. We only list the very best Swegway boards with the very best components from the very best manufactures like MonoRover. Get your hands on the must have gadget of last year and this one. 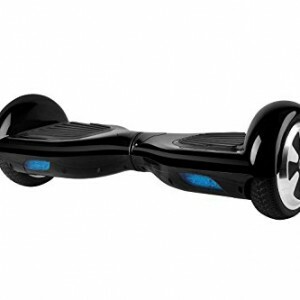 Make all your friends completely jealous of you as they walk and you glide past them! Do you remember the popularity of Segways before they were deemed too bulky to store or carry around when you needed them for transportation? The MonoRover R2D solves this problem with the same gyroscopic technology that you find in the Segway, without all of the bulk. This makes it easy to pick up and go- whether you want to ride to the corner store, travel between buildings at work or school, or even use it for your commute when you just don’t feel like walking. 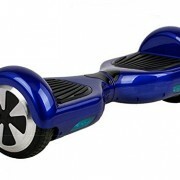 Not only is the MonoRover R2D great for these purposes, it is fun just to hop on and ride. 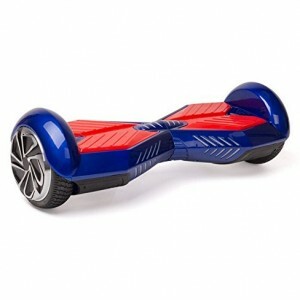 It can tackle small bumps, sharp turns, 40 degree inclines, and more. 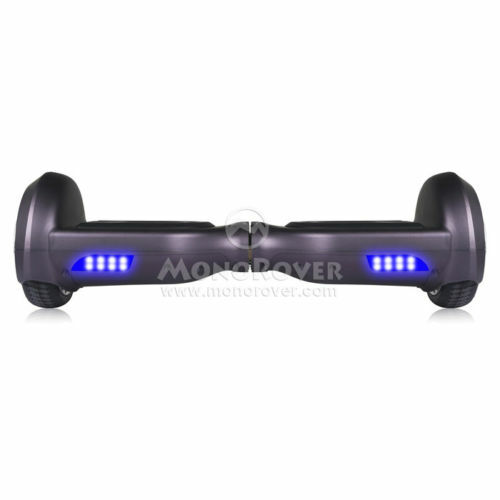 The MonoRover R2D Self Balancing Scooter works using double-balancing motors and ultra-sensitive sensors. There are two separate sensors in this self-balancing scooter. As you make even the slightest movement with your feet, it is relayed to the double-balancing motors that are found inside the board. If you point your toes downward, you will accelerate and move forward. If you put the weight of your body into your heels, you will go backwards or decelerate. You can also move side to side to signal to the board that it needs to turn. It is recommended for use on carpet, hard floors, packed, dry dirt, asphalt, and concrete. While some people may not be able to just hop on the board and learn in 10 minutes (though this is very achievable) it is still possible for virtually anyone to learn in an hour or two. All you need is a sense of balance, confidence, and a helmet and kneepads! If you do have trouble learning, you can also toss a learning buddy into the mix to help you balance until you get the hang of the scooter. 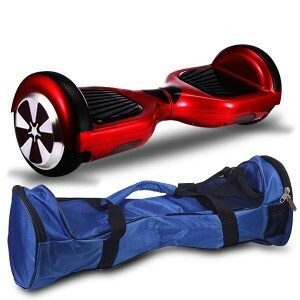 This Segway board is recommended for use by anyone between the ages of 14 and 45. However, those younger or older can learn with the help of a learning buddy. 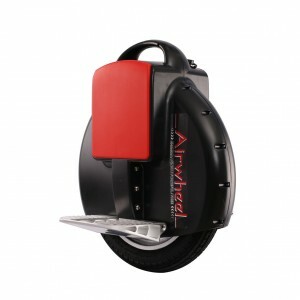 Another great feature of this self-balancing scooter is the precautions that are taken for safety. 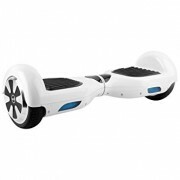 When you get on the board, an LED light indicates when your foot has been properly balanced and the motor switches on. 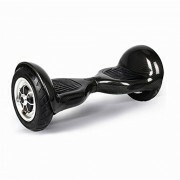 If you go too fast, the board makes an audible beeping noise. 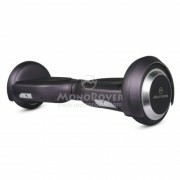 The MonoRover R2 will automatically shut itself off to protect the internal motor and you when you accelerate too much. 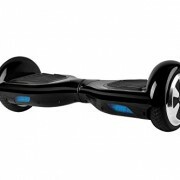 This beeping gives you warning so that you have time to either slow down or dismount before the board stops working. 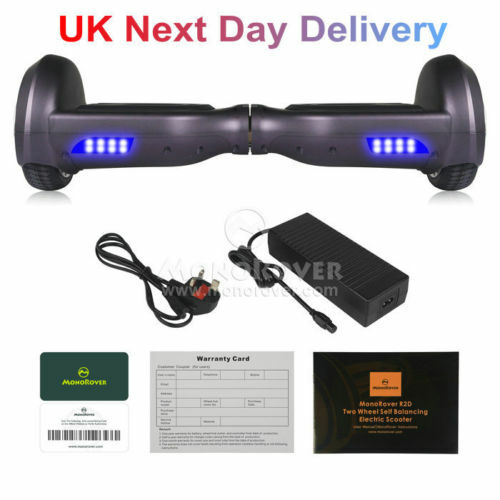 There are a few different self-balancing boards available on the market. 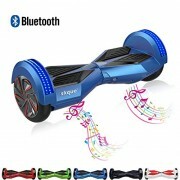 The major difference you will notice between the MonoRover R2D self-balancing scooter and other boards is the price. It is significantly more affordable than other options, without sacrificing ride quality. It uses similar technologies that offer ultra-smooth turning, flawless acceleration, and easy braking, all while keeping your safety in mind. While it does not have the same acceleration, it provides the same function at nearly half the cost of some other models on the market.